Master Gardeners are volunteers who receive special training from the Penn State Extension in horticulture and all aspects of gardening. They support the Penn State Cooperative Extension in helping educate the public in many different ways to help them improve their home environment. During the growing season, the Juniata Valley Master Gardeners maintain a garden hotline on Mondays where consumers can pose questions or concerns about their garden. There are also a number of horticultural workshops presented by the Master Gardeners that are open to the public to help educate local gardeners and they maintain a demonstration garden above the Mifflin County Library with examples of pollinator plants, water conservation efforts, vegetable gardens, etc. To become a Penn State Master Gardener, one must have a keen interest in gardening and a willingness to volunteer to help others learn. A minimum of forty hours of instruction in sustainable gardening concepts is required for certification. 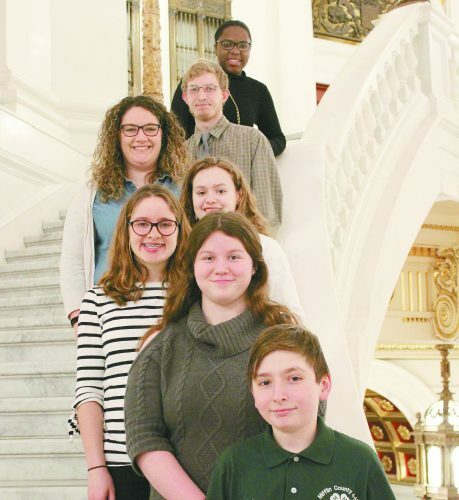 Classes are usually held one night per week in the Penn State Mifflin County office, Lewistown. Classes include botany, plant propagation, pesticides and pest management, plant diseases and insects, soil and fertilizers, turf grass management, vegetable gardening, pruning, PA native plants, invasive weeds, small fruits and others. An examination is given on-site at the end of the forty hours where a minimum of 80 percent is required for certification. In addition, the trainees must complete 50 hours of volunteer community service by working at events like plant sales, educational seminars or meetings, webinars, workshops or other extension-sponsored programs. It is very easy to fulfill this requirement! Trainees also receive a large Master Gardener manual to use throughout the training, which provides a tremendous amount of information on many topics related to gardening. Master Gardeners must maintain certification each year by providing 20 hours of volunteer service with 10 of those hours being continuing education, again an easy requirement. The Juniata Valley Master Gardeners are planning another class beginning in October 2018. If you are interested in becoming a Master Gardener, call the Mifflin County Extension Office at (717) 248-9618 or email mifflinmg@psu.edu, and we will add you to the list. There will be an orientation for those interested in becoming a Master Gardener from 10 a.m. to 12 p.m. on Saturday, Sept. 8 at the Extension offices in Lewistown. If you are interested in attending, please email Lori Mitzel at lam452@psu.edu to register.